Superman’s X-ray vision famously gave him enhanced perception, though his capability had little to do with how X-rays actually work. But what would the universe really look like if one had “X-ray eyes"? We now have cameras that allow us to answer this question, and these have opened up a fascinating window into new physics. A beam of X-rays carries thousand of times more energy than a beam of visible light. So, for X-rays to be generated, there needs to be highly energetic cosmic phenomena, including matter swirling around black holes and neutron stars at near light speeds, aurorae near the magnetic poles of planets in the solar system, and million-degree plasmas surrounding exploded stars. The birth of X-ray astronomy was, in fact, a happy accident. In the 1960s, scientists searching for X-rays from the moon, launched sounding rockets with X-ray detectors. Instead, they discovered X-rays from a previously unseen neutron star in the Milky Way, together with X-rays from growing black holes. It was quickly recognized that the skies must be teeming with hot and dense X-ray-emitting sources, and the past 60 years have seen the new field of “X-ray astronomy" grow and develop. The 2002 Nobel Prize for physics was awarded to one of the pioneers of this field, Riccardo Giacconi, for recognizing its fundamental importance. X-rays are absorbed and scattered by air, so it is necessary to get above the earth’s atmosphere to detect them from space. 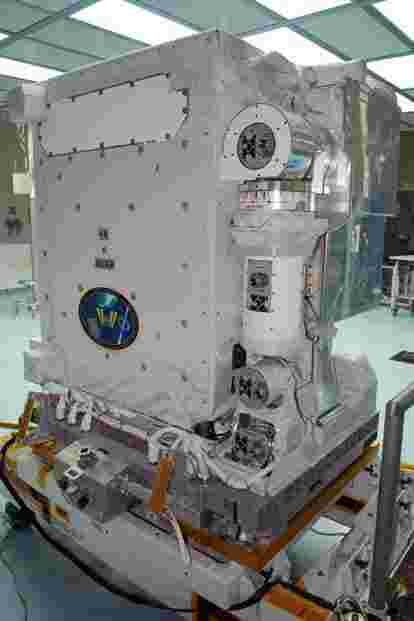 And the International Space Station (ISS) provides an excellent platform for mounting X-ray cameras. Currently, Japan has a camera onboard (called Maxi or the monitor of all-sky X-ray image), as does the US (the NICER or neutron star interior composition explorer telescope). Maxi, operational since 2009, scans the entire sky with each ISS orbit, and is responsible for discovering several new black holes and neutron stars in the Milky Way every year. As their name suggests, black holes are “black" and do not emit light. But as matter spirals at high speeds towards a black hole, it can become hot and bright, glowing at the searing temperatures of millions of degrees associated with X-ray radiation. These are extremely violent environments, with conditions changing faster than the blink of an eye. Therefore, bright and variable X-ray sources are excellent signposts of black holes growing by actively swallowing surrounding matter. Astronomers believe that there ought to be many thousands of growing black holes in the Milky Way. But only a few dozen have been securely identified so far. Maxi is helping us discover more of these. NICER is a relatively new camera, operational since mid-2017, performing detailed observations of individual X-ray sources. Its strength is the ability to collect a large number of X-rays with high time accuracy. This enables us to follow the motions of matter swirling around neutron stars and black holes with unprecedented finesse. A key objective of the mission is to study the composition of neutron stars—dead stars whose density and pressures are higher than in atomic nuclei. A single teaspoon full of neutron star matter would have about as much mass as a mountain on earth! Understanding the behaviour of matter in this extreme regime could herald new physics. X-ray astronomy is still a relatively young field. The light-collecting area of X-ray telescopes remains small, equivalent to amateur optical telescopes. But technology continues to improve, and other nations are now participating in the exciting quest to detect X-rays from the sky. India’s first astronomy-dedicated satellite, AstroSat, also has a strong focus on X-rays. In fact, India has an established heritage in black hole studies. Its legacy is rooted in the theoretical work pioneered by Subrahmanyan Chandrasekhar, and stretches into the future with the upcoming construction of the international gravitational wave observatory arm in Maharashtra. But the ISS, or similar space platforms envisioned by other nations, will likely continue to serve for some time as one of the best, low-cost vantage points for experiments that can only be done from space, including X-ray astronomy. The author is an astronomer working at the School of Physics & Astronomy at the University of Southampton.